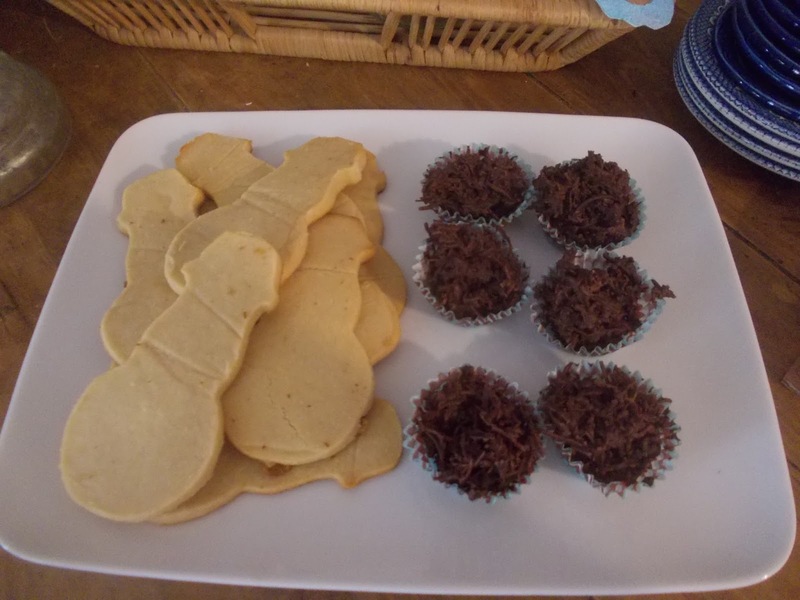 I’m not the baking type. Nope. Not at all. 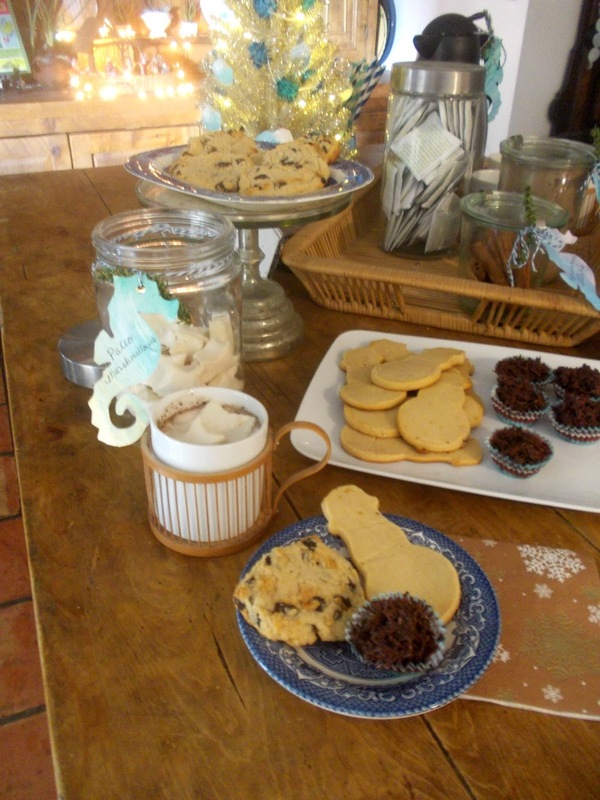 Here is a picture of my first attempt at baking paleo chocolate chips cookies. Hilarious. 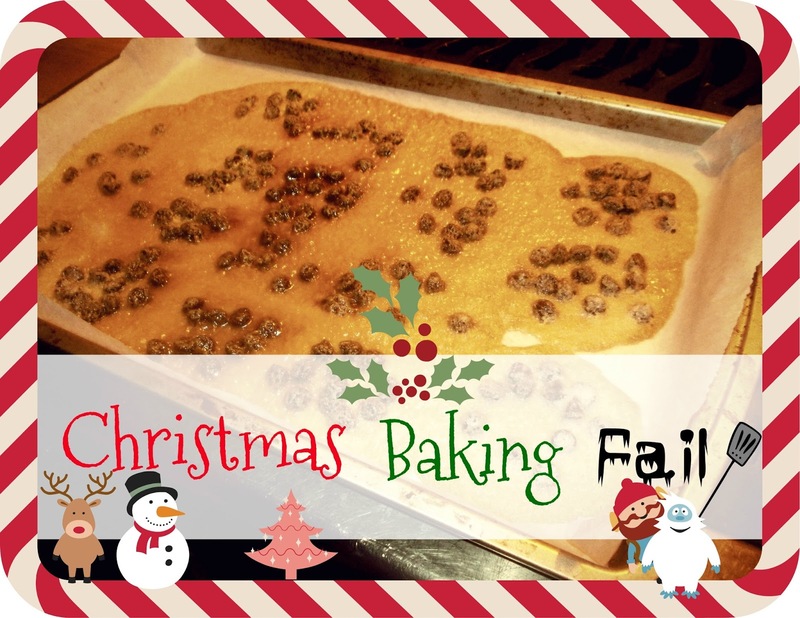 They melted into one giant glue cookie which stuck to the parchment paper. Nothing sticks to parchment paper, that is the paper’s purpose. Yet this batch defied that fact and stuck anyway. 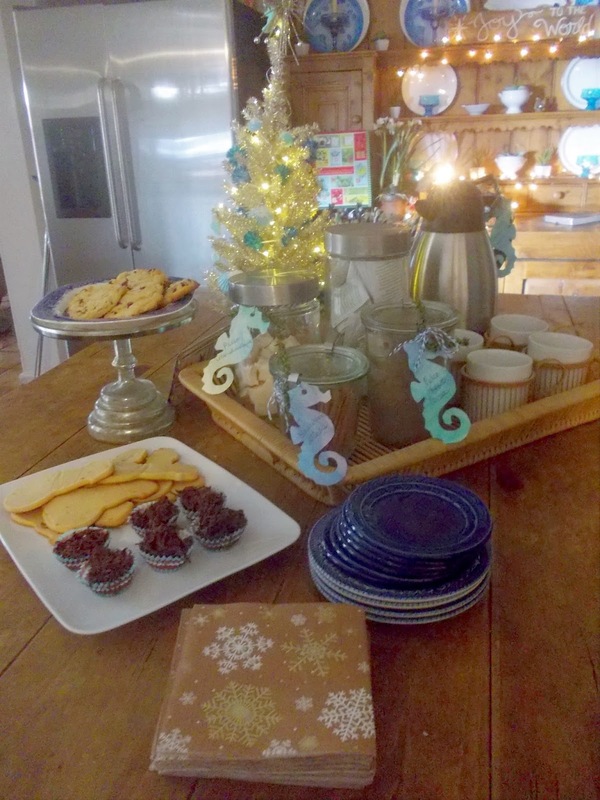 Since turning paleo and giving up gluten, dairy and processed sugar, I was determined to whip up a few treats I could have that were still healthy. So this time, I read the recipe carefully……. 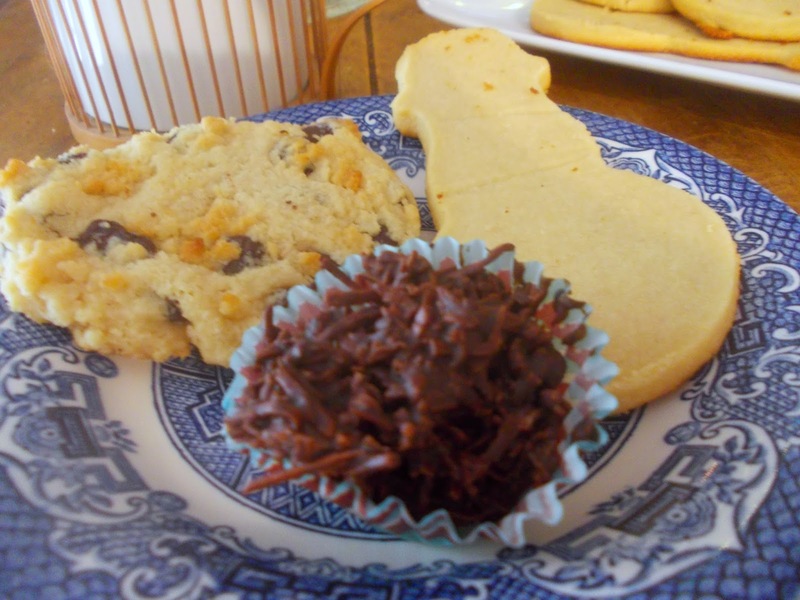 Oh my gosh, these cookies are sooooo good! You cannot even tell that they are paleo. Here is the recipe if you’d like to try it. 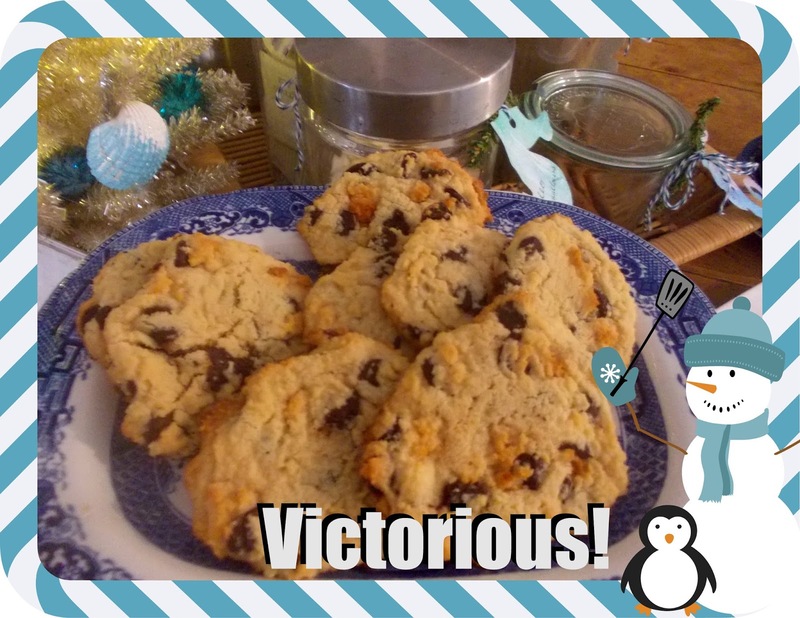 The Chocolate Chip Cookies turned out so well, that I tried a couple of other recipes too. 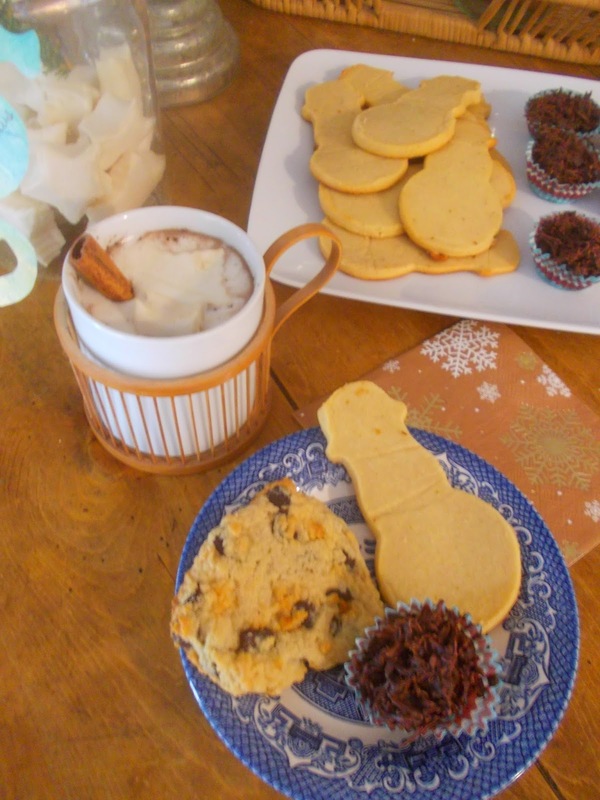 I also have a recipe for Snowmen Butter Cookies and Coconut Chocolate Haystacks. 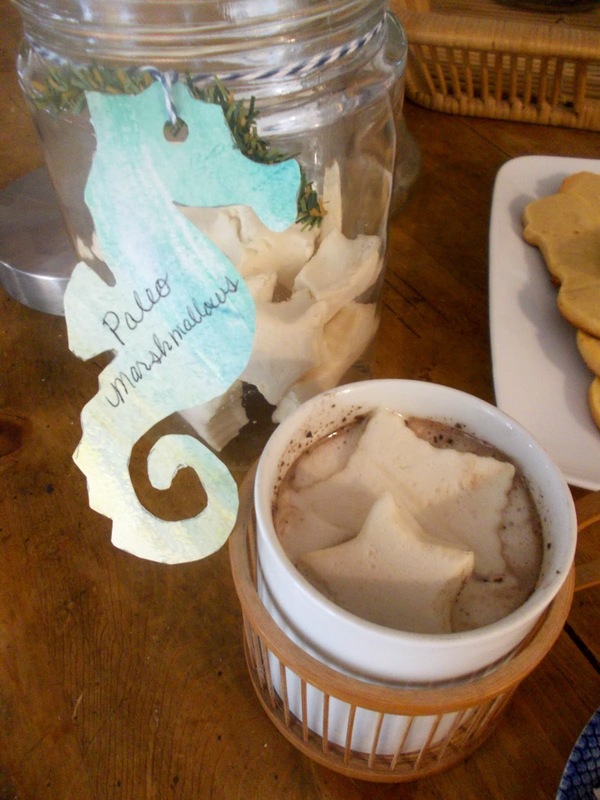 These are paleo as well and taste really great! 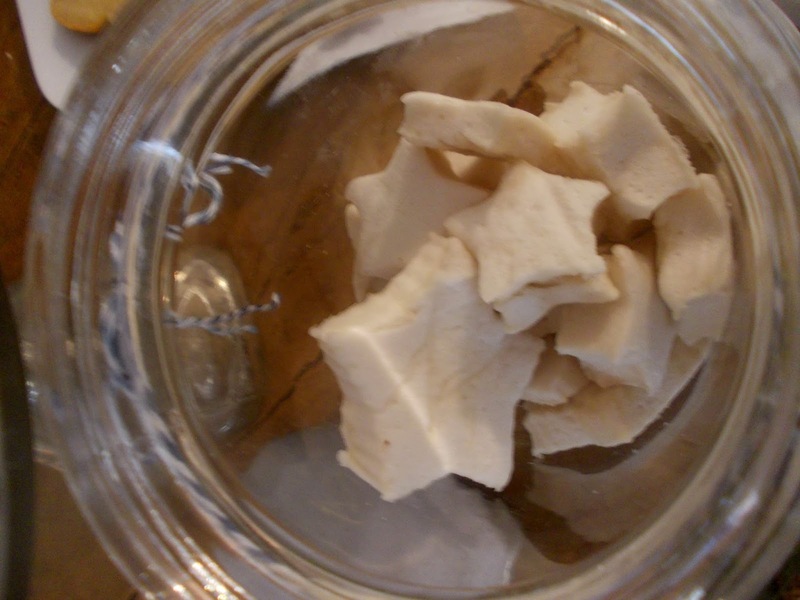 And the last recipe is paleo marshmallows, these are so easy to make and I used cookie cutters to make the star shapes. 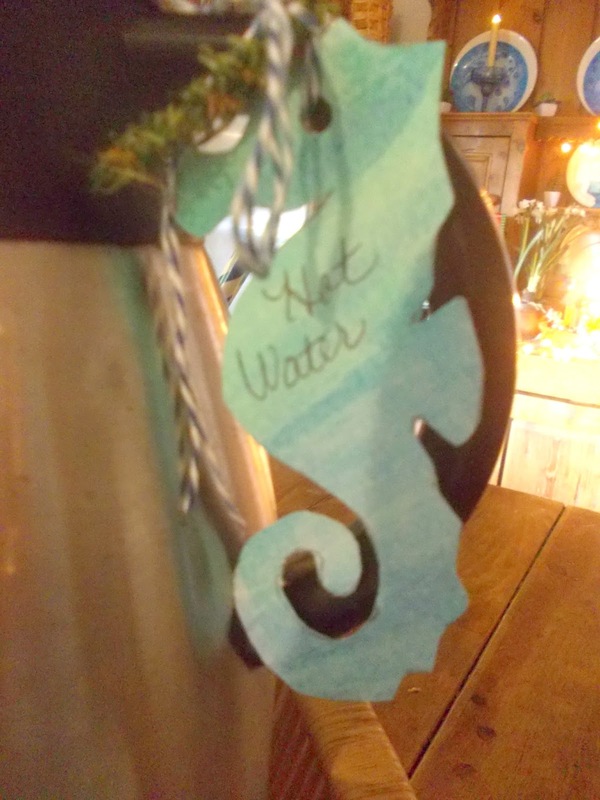 I also had fun making my tags for my jars using some of my abstract water color pictures that I painted and had laying around. 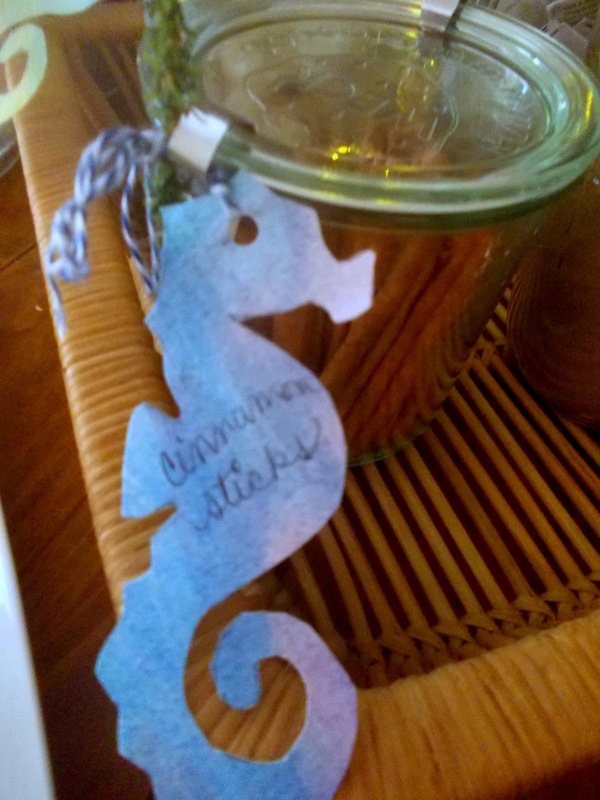 I just traced out four little seahorses and added baker’s twine and a bit of greenery. Kinda different and whimsical, yes? 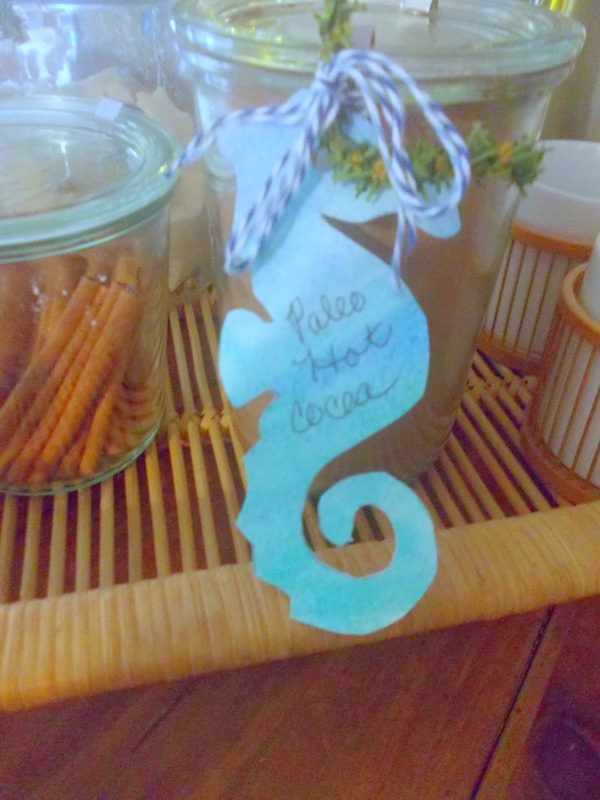 Here is the recipe I use for for paleo hot chololate mix. I use coconut milk in place of dairy milk.